Home » Automatic » Flying high in yesteryear’s sky-scape! Flying high in yesteryear’s sky-scape! 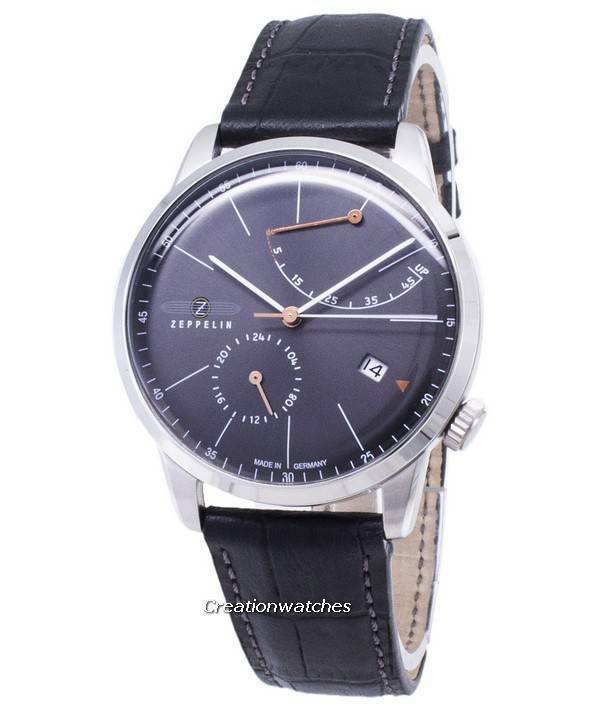 Worthy of a price at least double of what they come for, the Zeppelin watches (from PointTEC group) are an extremely well-built lot, exhibiting a high-grade finish and construction. They deny the general mindset of German products being stocky and bland; with being all-utilitarian and scoring real low on aesthetics. Unless you are blindfolded, you are not going to miss out on their visual charm that’s oh-so-alluring; something that the Swiss would demand a hefty price for. The basic theme for Zeppelin watches revolves around the Zeppelin air ships – those designed by Ferdinand Grafvon Zeppelin; early 1900s – which is evident from their nomenclatures. The Captains Line, the Transatlantic; the Count Zeppelin and so on…all relate to the glory days of the record-setting Zeppelin world flights. Using polished, brushed and satin finishes on stainless steel – some with unique textures (e.g. ribbed cases in the Count Zeppelin and Captains series) -the Zeppelin watches pair up the cases with high-quality handmade leather straps, bringing stunning visual appeals into the ensembles. 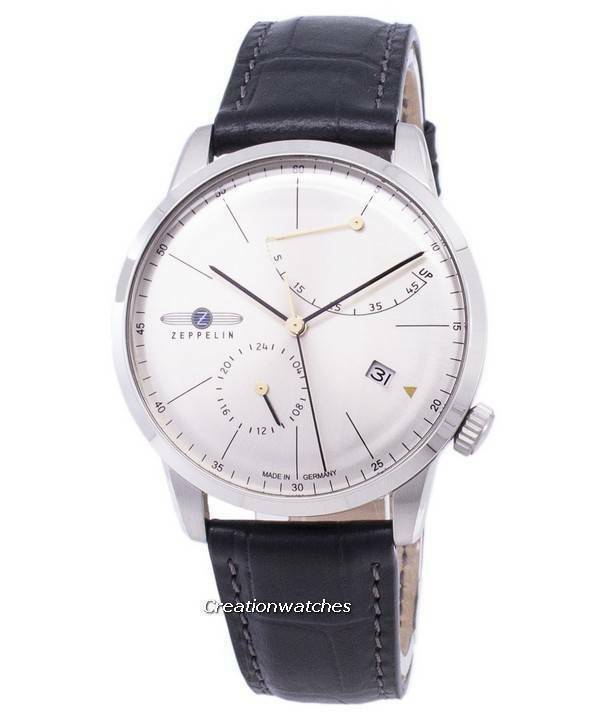 To keep up with the olden appeal, Zeppelin introduced the Flatline series; they sport mechanical, hand-wind/automatic movements – the Caliber 9132! Made by Citizen under the name Miyota, this 26-jewel, 28800 bps and 51° lift-angled ensemble is a wonder compared to many Swiss stock movements. It is equally efficient; yet costs a fraction of their price. The Flatlines are fairly clean; they are pretty much influenced by the German Bauhaus style (a style of architecture begun by Walter Gropius in 1918), which shows through its dial. It’s pretty asymmetric – but that’s the beauty of it! It evokes a sense of flying and reminds of engineering drawings. T here is no lume on the dial or anywhere else, though. That’s to retain its vintage appeal; lume is just a recent thing in the long history of watches. At 40mm, the Flatline watches fit upon just any wrist size and refrain from appearing too big or two small. A large part of that is due to the thin bezel and the lug-to-lug measurement (46mm). But hey, what’s a Jap movement is doing in a German watch? Nothing; just that the Germans thought about one single Japanese movement would keep up with their rigorous demands. At the most, the movement shall fluctuate to + 14 seconds a day. The rotor move free – as many as 10 to 15+ revolutions before stopping – if you need to put up with them controlling a higher power vs. weight ratio. This can be viewed easily through the display backs. The central Côtes de Genève decoration also shows through. It makes a full charge possible within a few minutes; as many as 40 hours! All in all, the Flatline watches are automatic, multifunctional pieces that don’t cost you an arm and a leg! 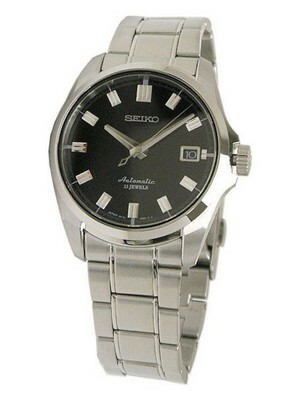 Newsletter : Seiko “Turtle” 200m Auto Diver watches on Sale – Additional discount code inside! GPS Time Correction: Who does it best? Previous post Casio Edifice wins the game again!